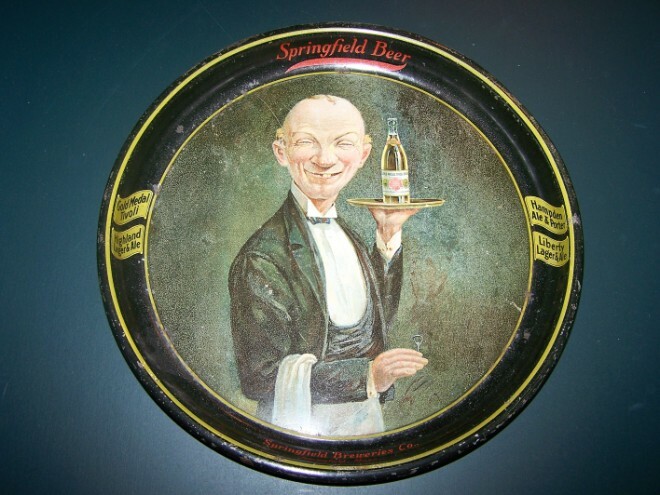 Closure: Crown" Springfield Brewing Corp."
Label: New England Beer & Ale/Contents 12 Fl oz/ Internal Revenue Tax Paid/Springfield Brewing Corp/Springfield/Mass. 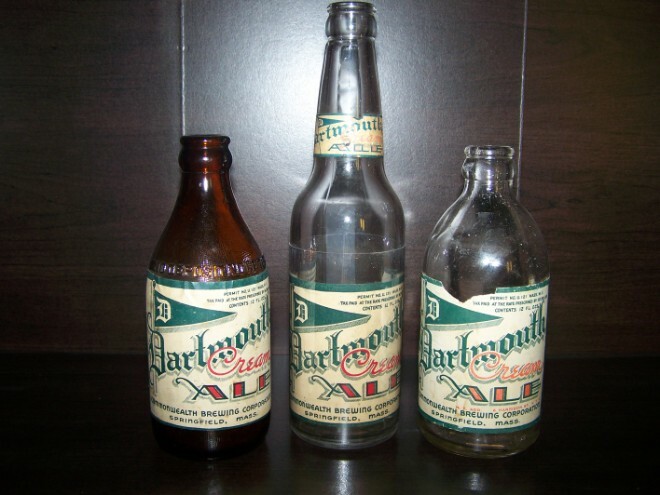 Bottle Maker: Amber Reads"Anchor Hocking Corporation, Lancaster, OH "
Front: New England Beer & Ale/Contents 12 Fl oz/ Internal Revenue Tax Paid/Springfield Brewing Corp/Springfield/Mass. Base: Amber Reads"8569/5/46/53" With an Embossed Logo I Will Have To Research. Notes: Both Labels read "COP'R 1946-S.B Corp" In Bottom Left Corner. 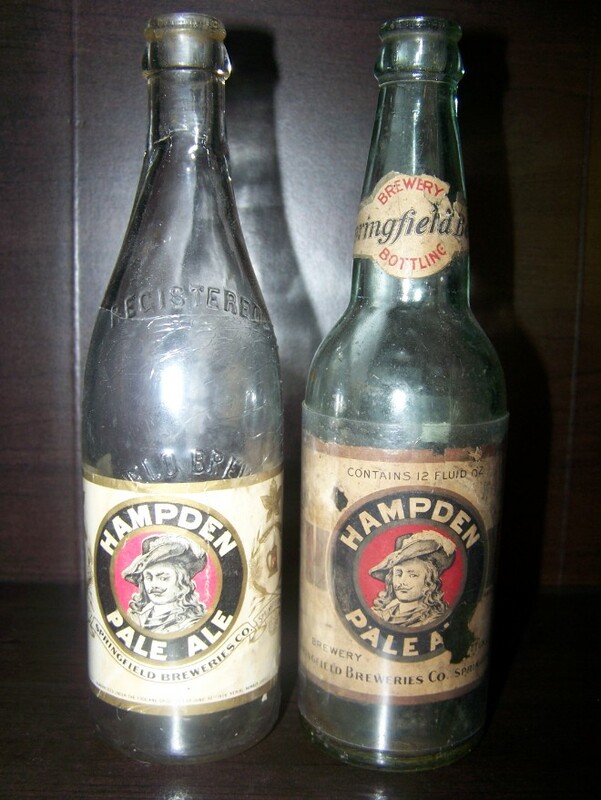 Front: Amber Is Embossed Front" No Deposit No Return"
Back: Amber Is Embossed Back" Not To Be Refilled"
Front: Small Writing Under Address" Trade Mark Registered Guranteed By Springfield Breweries Co. Under The Food And Drugs Act Of June 30th 1906. Serial Number 12071". 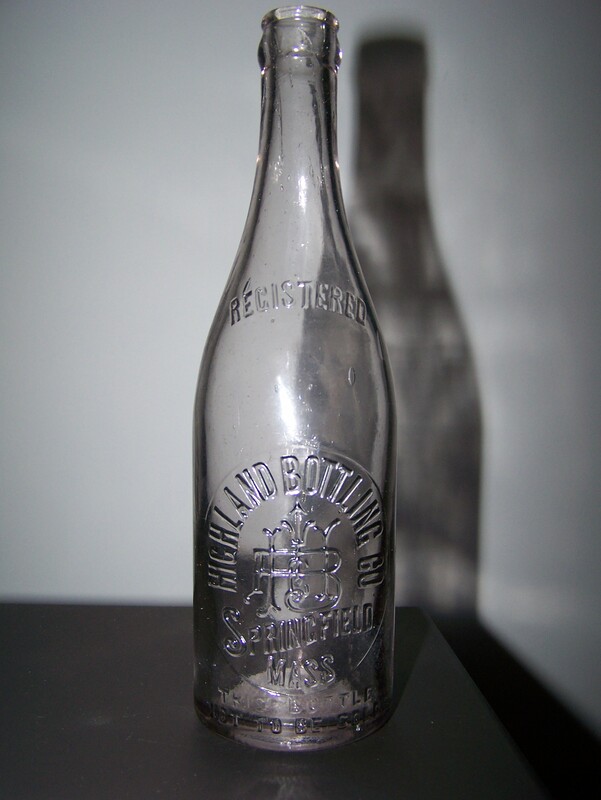 Front: Neck Labeled Bottle Embossed "42B" Under Label. 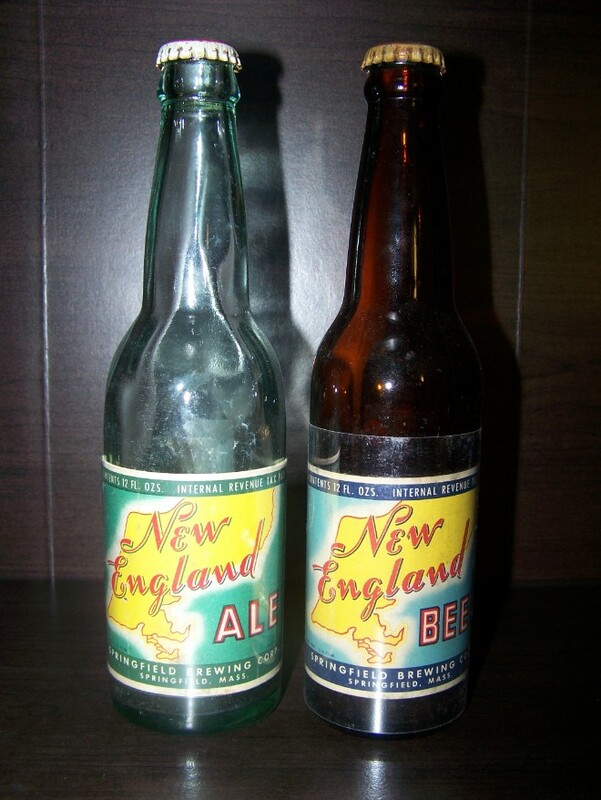 Other Bottle Embossed "Registered/ Springfield Breweries Co/Springfield/Mass" Under label. 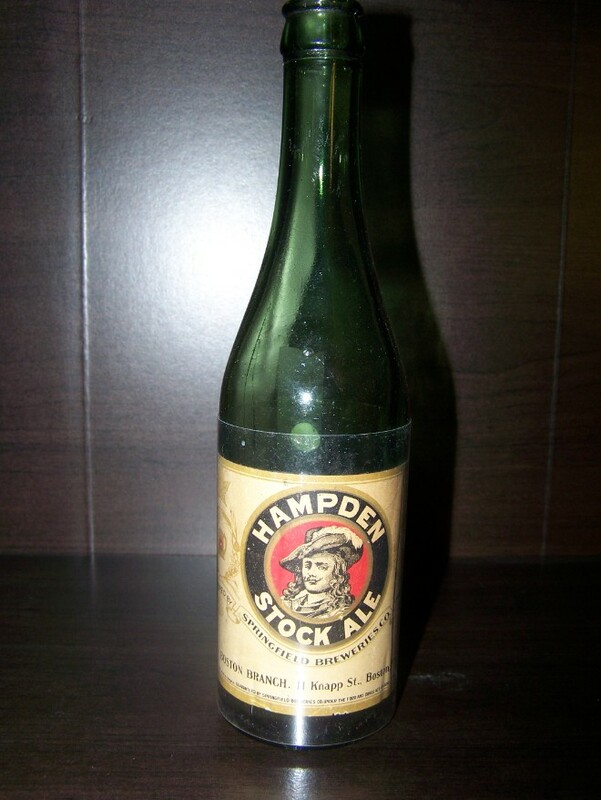 Notes: Small Writing " Trade Mark Registered Guranteed By Springfield Breweries Co. Under The Food And Drugs Act Of June 30th 1906. Serial Number 12071". 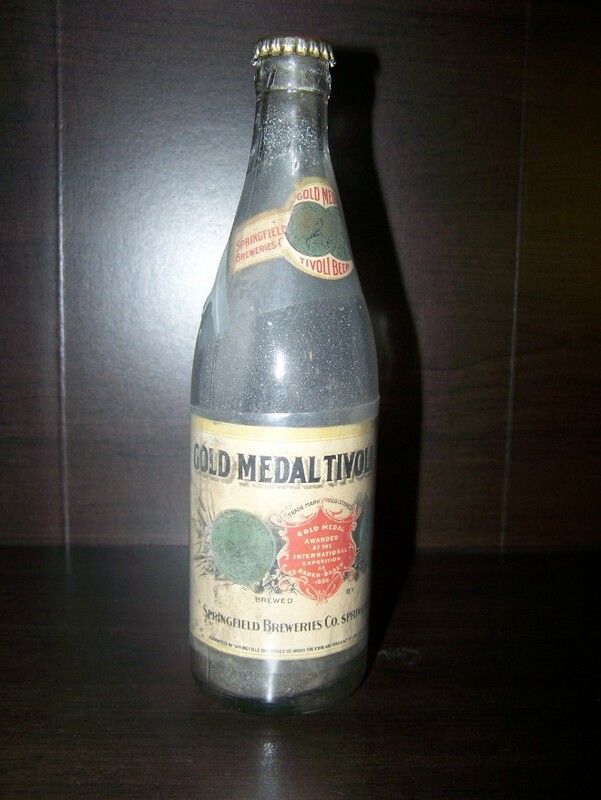 Front: Small Writing " Trade Mark Registered Guranteed By Springfield Breweries Co. Under The Food And Drugs Act Of June 30th 1906. Serial Number 12071". 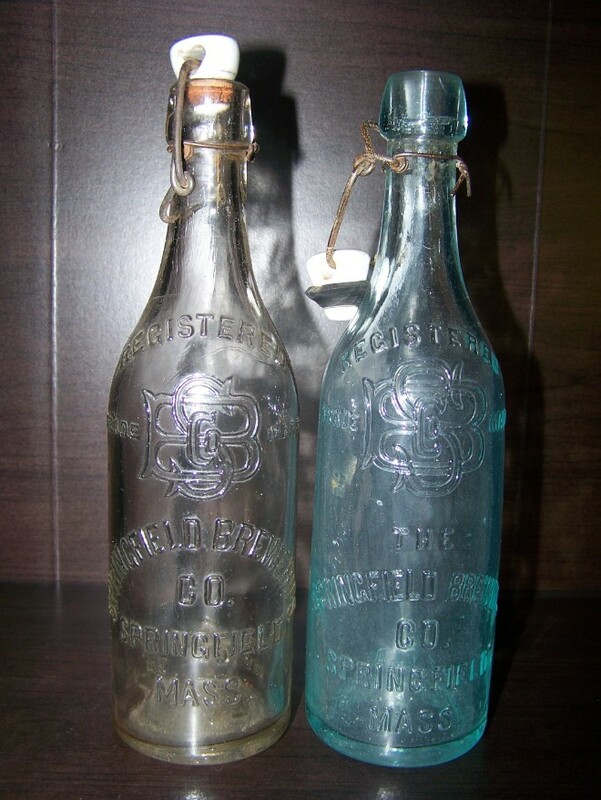 Back: Embossed "Registered/ Springfield Breweries co/ Trade Mark/Springfield/Mass/"
Brewer: Springfield Brewing Co. & Springfield Breweries Co.
Front: Embossed "Registered/Trade Mark/ SpringfieldBreweries Co/Springfield Mass/" The Aqua Bottle is Embossed " Registered/Trade Mark/ The Springfield Brewing Co/Springfield Mass/"
Back: "This Bottle Not To Be Sold" and "Not To Be Sold"
Springfield Breweries Co. Springfield, Mass.